If you know me, you know I’m a bit of a pizza fiend, my entire life. But wild mushrooms on top of anything was not at the top of my list as a child, that’s for certain. But they sure are now! 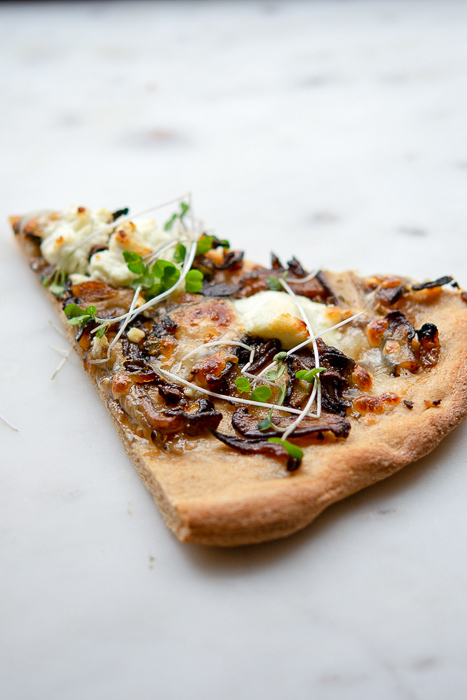 Adding the caramelized onions to this pizza really puts this one over the top! 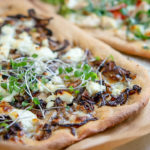 This wild mushroom pizza has caramelized onions, and crazy flavorful fontina cheese, and is a bit indulgent, (um, butter), and takes a little time to prepare (but all prep can be done ahead of time), and totally worth it! Pay close attention to the notes in the recipe, there a few techniques that make a lot of difference in the outcome of the vegetables. add some baby spinach on top of the pizza before it cooks, season with a pinch of kosher salt, no really, it’s good! 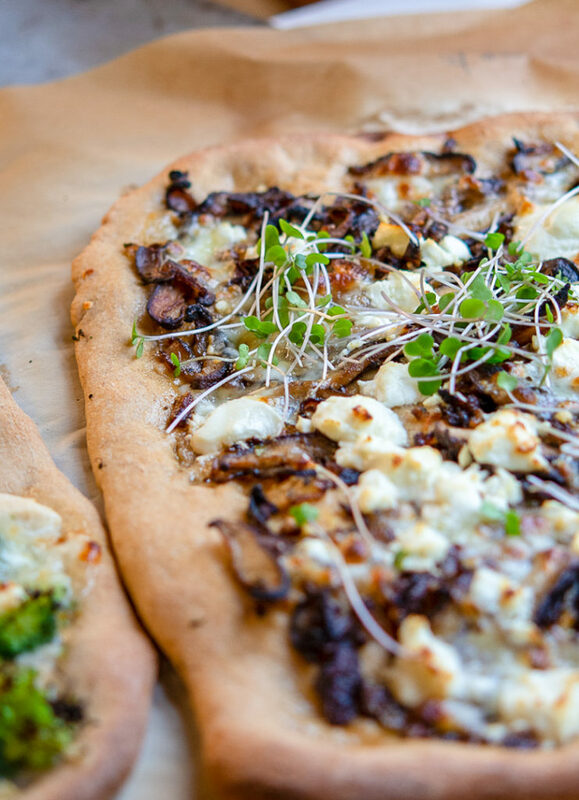 Be sure to make the White Whole Wheat Pizza Dough too, Grab a glass of wine, follow the instructions for the dough and pizza, and you’ve got the perfect Pizza Friday! That crust looks amazing! Plus the perfectly caramelized onions, I’ll bet this gets eaten really quickly when you make it. 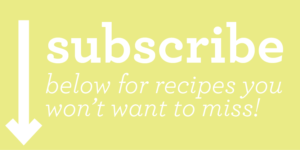 Definitely want to try your dough recipe!